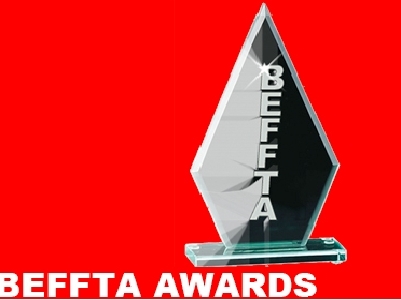 The 4th annual Black Entertainment Film Fashion Television and Art(BEFFTA) 2012 is just around the corner again! This annual prestigious award, which is the brain child of Pauline Long, recognizes outstanding performance in the Black Entertainment, Film, Fashion, Television and Arts industry.Afrocentricity Unleashed (yours sincerely) will be at this event as a guest, and (wait for this) NOMINEE 🙂. Online voting kicks off at 7pm today, the 7th of October 2012, and closes on the 21st of October, 2012. Please find the different categories, as well as a list of nominees below. We will be providing you with a full disclosure of how the night pans out without excluding any details. Keep it locked on AFROCENTRICITY UNLEASHED!!! Posted on October 7, 2012, in Diaspora and tagged 2012, Africa, afro news, afrocarribean, afrocentricity unleashed, befftaawards2012, black entertainment fashion film television arts, black history month, blog of the year, factory 78, golders green, Pauline long, shiikane. Bookmark the permalink. Leave a comment.